Have you ever been to a bar or restaurant and noticed a sign hanging behind the bartender that said, If you appear visibly intoxicated, we reserve the right to refuse to serve you? This sign isn't there just to keep the establishment from getting rowdy. In Pennsylvania, any place or person with a liquor license can be held responsible if they serve a visibly intoxicated person and that person causes an accident. This is referred to as Pennsylvania's Dram Shop law. And it affects more people than you may think. What is Pennsylvania's Dram Shop Law? 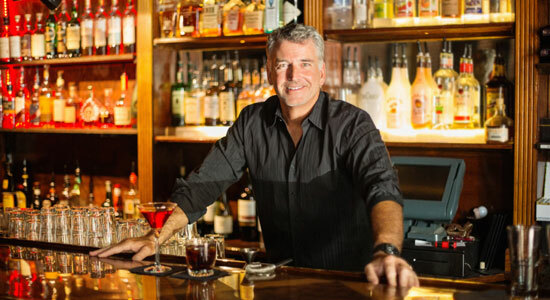 According to Pennsylvania's Dram Shop Law, any establishment or licensed individual who gives alcohol to a visibly intoxicated person can be legally held responsible for injuries and damages that person might cause. This doesn't just mean bars and restaurants – private events are included too. If a visibly intoxicated patron is served and then starts a fight with others, the injured person can sue the bar, restaurant, or private event host under the Dram Shop law. If a restaurant serves a visibly intoxicated person and that person trips, falls, or gets seriously injured while walking back to their car – that person can sue under the Dram Shop law. An employee or "agent" of an establishment served alcohol to someone who was "visibly intoxicated"
Dram Shop Law can affect privately hosted parties as well – not just businesses and establishments. For example: If you hire a caterer or licensed bar service for your private party, they could be held responsible for over-serving a guest. Any hired service that comes with a liquor license can be held accountable if an intoxicated guest causes an accident. Even if you don't hire a caterer or bar service, you – as the party's host – could be held liable for the drinking that occurs at your party. For more information, read about the Social Host law in Pennsylvania. So how do you know when to stop serving someone alcohol? What does "visibly intoxicated" actually mean? These are great questions. Because everyone's body processes alcohol differently, we'll give you the telltale signs for when it's time to stop serving someone alcohol. Enlist Backup – Tell the manager, party host, and other bartenders that you're cutting someone off. It'll protect them and you, as well as the customer. Ask for Help – Talk to the customer or guest's friends. Explain that he or she has had too much to drink and ask for their help. Keep it Quiet – When you tell someone they've been cut off, make sure to keep it non-confrontational. Explain your policies and the situation at hand. Stand Firm – Your judgment is what protects you in this situation. Stand firm and offer to call them a taxi. Call the Authorities – Sometimes intoxicated people don't respond with the best judgment. If someone gets violent or confrontational, call security or the police. Drunk drivers cause serious, life- changing accidents. If you were impacted by the negligence of a drunk driver, contact our law firm today. We'll fight to recover money for your medical bills, lost time at work, and your pain and suffering. It's absolutely free to call and speak with us, and you won't owe us anything until we win your case. That's been our guarantee for over 35 years. We're standing by 24/7 and we're ready to get you the answers – and the legal help – you deserve. And remember, there's never a fee unless we get money for you. "A Guide for Bartenders: When Has The Customer Had Too Much?" essorment.com. Accessed Nov. 5, 2013. "Bartending 101: How to cut off a customer." ServSafe Alcohol. July 27, 2009.